Originally, I wanted to try the same rose from the last post with a fineliner. 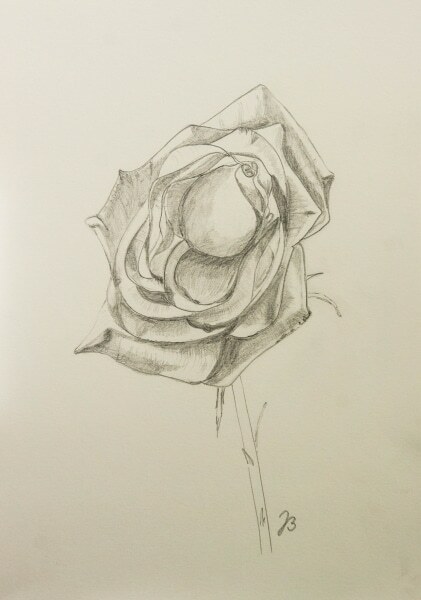 After two bad starts, I went back to a pencil with a different rose. Still, I was too tired and could not finish the same evening. You might be able to guess – the rose did not stay the same overnight, so I had a hard time finishing the drawing partly from memory since several leaves were in a very different position influencing the shadows as well.